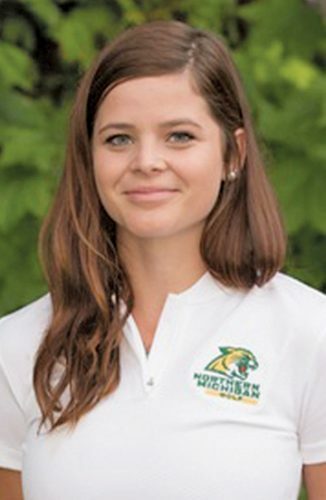 MARQUETTE — The last time the Northern Michigan University hockey team went to overtime with Bowling Green State, it was in the decisive third game of their WCHA semifinal series last March. It resulted in a thrilling win for the Wildcats. 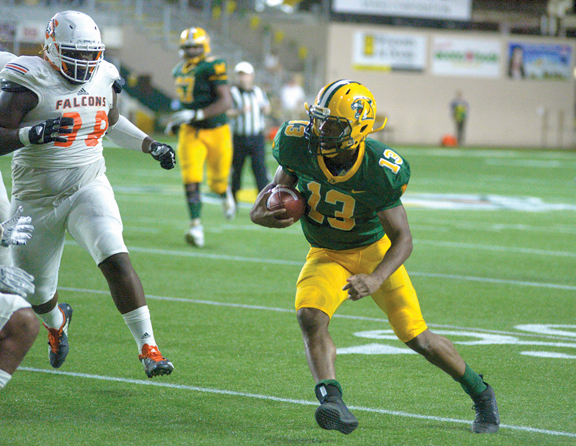 On Friday night, NMU wasn’t as fortunate. After the Falcons forced an extra session on a goal with about five minutes left, BGSU forward John Schilling got the puck past Wildcats goalie Atte Tolvanen just 17 seconds into overtime to give the Falcons a 3-2 win. The Wildcats (13-13, 12-7 WCHA) have now lost three straight at home and have dropped to fourth place in the WCHA standings, tied with Michigan Tech. With his team blowing a lead and losing so quickly in OT, Wildcats head coach Grant Potulny was visibly frustrated afterward. “You talk to athletes about certain things in their game they need to adjust, and it’s game 26,” he said. “They do the things that you’ve talked to them about until you’re blue in the face and you try to do it in a different way. “I’ve got an athlete that just does it the way that it works for him. I’m tired of these press conferences like this. I’m just really, really disappointed in where we’re at. Both teams got off to a slow start with neither generating any offense. 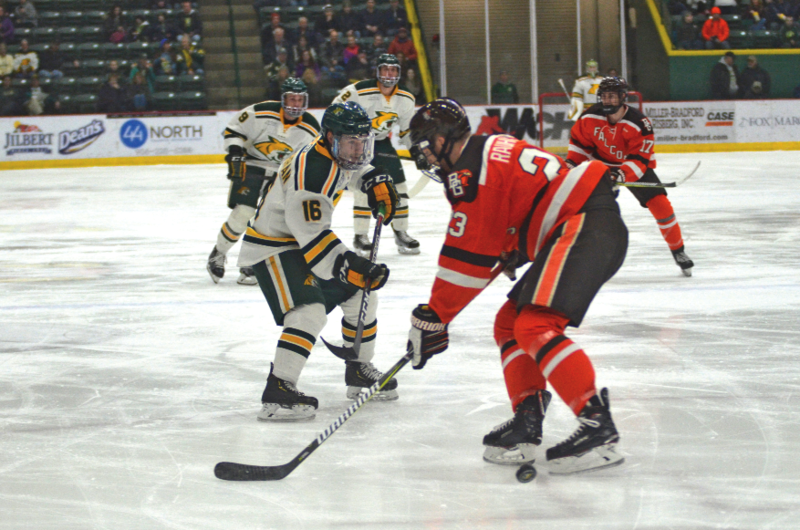 About four minutes into the first period, Lukas Craggs got free on a partial breakaway for the Falcons but was taken down by NMU defenseman Phil Beaulieu as Tolvanen made a pad save. BGSU got a power play on the Beaulieu hook, but didn’t generate anything. Northern, on the other hand, got its first scoring chance as Griffin Loughran got free for a shorthanded attempt, but was denied by Falcons goalie Ryan Bednard. With 5:57 left in the first, BGSU’s Brandon Kruse was whistled for interference and Northern started to get some offense going with a couple good shots. Not long after, the Falcons got on the board as Sam Craggs tucked a shorthanded goal through Tolvanen’s five-hole and BGSU went up 1-0. Potulny said in his Tuesday press conference that he was concerned with how his team has started games recently. In the postgame Friday, he wasn’t sure why those poor starts are continuing. “I don’t know,” he said. “Maybe I need to be with them from 5 o’clock until 7 o’clock to get them prepared to start on time. We can’t seem to start on time. Again, we gave up the first goal and the same thing as last weekend, for as good as that team (BGSU) was, I think we caught them on an off night. 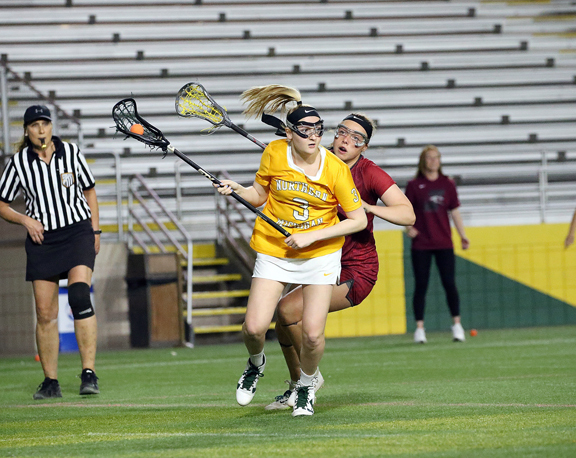 NMU did a good job of keeping the Falcons from extending their lead early in the second as it shut down the passing lanes while killing off a penalty on Denver Pierce. At the 4:43 mark, the Wildcats got on the scoreboard. With the puck behind the BGSU net, Northern defenseman Tony Bretzman sent a pass out to Adam Roeder at the point and Roeder sent a shot past Bednard’s glove to tie the game at 1-1. That was the last time the Wildcats really had anything going offensively as the Falcons did a good job of keeping the puck in the defensive zone. With about three minutes left, NMU defenseman Ryan Black was dealt a five-minute major for boarding and that put even more pressure on the Wildcats. However, Northern survived the rest of the period with Tolvanen making a nice save on Falcons blue liner Will Cullen. A puck went off the back boards to Cullen’s stick and he tried to go glove-side on Tolvanen, but the senior made the stop. BGSU took 2:13 of its power play into the third. 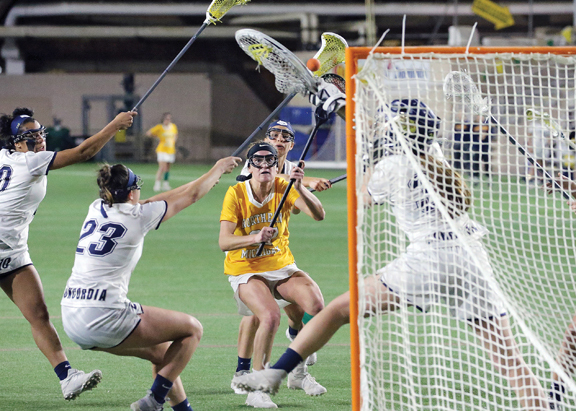 While trying to kill off the remainder of the penalty, the Wildcats caught a break when the Falcons were whistled for a penalty, thus taking the pressure off. After just missing on a long shot from the point with Northern now on a power play, Loggins connected on his second opportunity. Beaulieu sent a cross-ice pass over to Loggins, who one-timed it past Bednard’s glove. With the tally, NMU held a 2-1 advantage at the 2:30 mark. Once again, though, not long after the Wildcats scored, the Falcons took control. With 11 minutes left, Lukas Craggs sent a pass over to Kruse by the far post, but Tolvanen made a sliding pad save and then made another save just a few seconds later. With the puck still staying the NMU defensive zone, Tolvanen came up big again with two more nice saves to maintain the Wildcats’ slim advantage. However, NMU couldn’t hold on. With a little more than five minutes left, a puck deflected in the air to Ford, who sent a shot on net. Tolvanen made a pad save on the shot and then stopped Stephen Baylis’ rebound attempt, but the puck squeaked back out to Ford and he put in in the open net to tie the game at 2-2. The Wildcats had one last good chance to take the lead in regulation when Adam Rockwood sent a pass over to Darien Craighead on a rush, but he couldn’t slide it under Bednard with 3:04 remaining. “When the only offense you can seem to generate is from your D or a quasi-power play, you’re not going to win scoring two goals,” Potulny said. “You’re not going to win if you don’t get to the hard areas. That’s great that you can practice like that. That’s fine. You can practice like that when the coach is ornery.